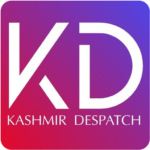 Uri, March 09 : A Sopore resident died on spot while other recieved serious injuries in a road mishap in north Kashmir’s Border Town on Saturday. Reports said a Sopore resident died after the Three wheeler Auto bearing registration number JK05C 6326 met with an accident at Bagna mode in north Kashmir’s Uri. Reports said in the mishap another person recieved injuries and was immediately taken to a nearby hospital for treatment. The deceased identified as Manzoor Ahmed Dar of Sopore. Meanwhile police has taken cognizance of this road accident. Pertinently on Friday afternoon a biker of Baramulla died in a road mishap.